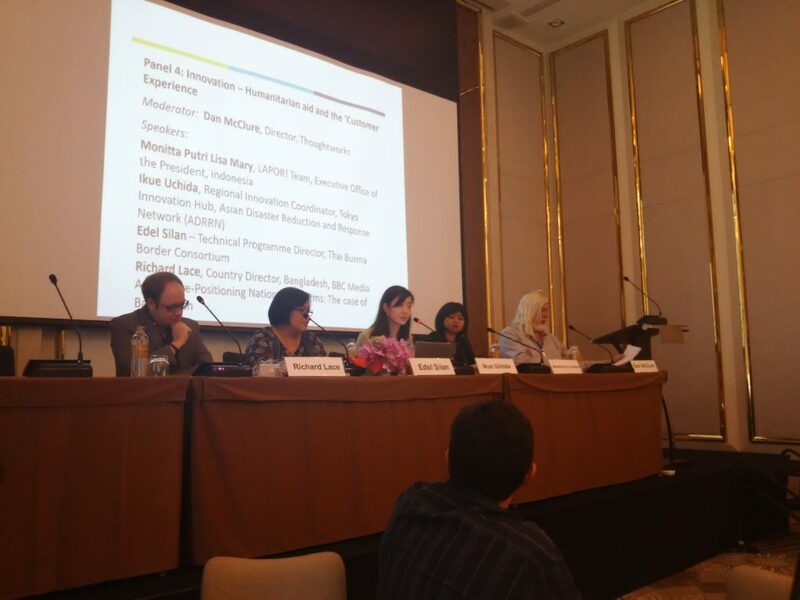 BANGKOK – May 22-23 – Ikue Uchida, the Regional Innovation Coordinator of ADRRN Tokyo Innovation Hub (ATIH), spoke as a panel at the Global Forum ‘The authenticity challenge to the Participation Revolution’ co-hosted by the CDAC Network and the Steering Committee for Humanitarian Response (SCHR). In the panel titled ‘Innovation – Humanitarian aid and the “Customer Experience”’, the challenges for innovation and key factors to overcome the challenge was discussed based on the experience of each panel members. ATIH represented the voice of member NGOs and stressed the importance of their role in engaging local communities, and the need for long-term support on their capacity development and better access to external resources and technologies to foster grassroots innovation. The goal of the event was to spark discussion and find solutions on how we can best support the realization of the Grand Bargain ‘Participation Revolution’ commitment to include people affected by humanitarian crises in decisions which affect their lives.